For angina, arrhythmia, improve coronary heart disease symptoms. Promoting blood circulation to remove blood stasis,regulating qi to arrest pain. 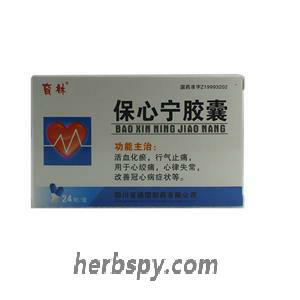 Dry extract of Salvia Miltiorrhiza,Dry extract of Radix Angelicae Sinensis,Radix Notoginseng,Dry extract of Fructus Auranti. For oral use after meals,2-4 capsules thrice daily or by medical ordor. If use with the other drugs at the same time may occur drug interactions,details please consult your physician or pharmacist. Hermetically sealed,keep in cool and dry places. 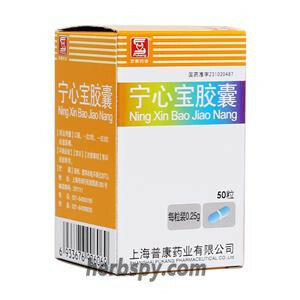 Stage Food and Drug Administration Approval number:Z19993202. Tips: Please read the directions for use in retail or directed by physician. Part of the goods frequent replacement of packaging, such as goods and pictures are not exactly the same, please refer to the goods you receive. Keep away from animals and children.This product has not been evaluated by the FDA. It is not intended to diagnose, treat, cure, or prevent any disease.We highly recommend that you consult with a Traditional Chinese Medical practitioner or physician before taking any products or if you have any questions regarding your health. For your convenience, we've collected the questions our customers most often ask, and provided the answers here. If you don't see your question on this page, please contact us and we will get back to you quickly with an answer. 2.Do you have the chinese herbs I need? 3. Can I take an item out of my shopping cart once it has been selected? 4. What payment options do you accept? 5. Is ordering online safe? 6. Will my items be packed well? 7. Do you offer corporate or wholesale discounts? Just place the pieces you wish to buy in the electronic shopping cart by clicking "Add to Cart". If you want to see how many items you have in your cart, click "My Cart". When you're ready to complete your order, click "Checkout" and follow the easy instructions to complete your order and select your payment option. If you have any questions, feel free to contact our customer service team by calling or WhatsApp 0086-177 3777 4153—we'll call you if it's easier for you—or email us at herbspy@yahoo.com. We'll be happy to answer your questions. 2. Do you have the chinese herbs I need? 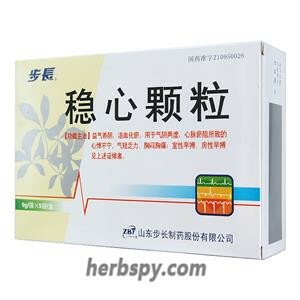 If you have the products picture, contact us right away at WhatsApp 0086-177 3777 4153—or email us at herbspy@yahoo.com. Generally we could offer all kinds of standard OTC. Once you put an item in your shopping cart, you can take it out again by clicking "My Cart", selecting " DELETE " in the last column for the item you wish to remove, and then clicking " DELETE " on the lower left. We accept PayPal, credit card,Western Union and bank transfer payments.Paypal and credit card could finish payment on our website directly.if you choose Western Union or bank transfer,please contact our service-WhatsApp 0086-177 3777 4153—or email us at herbspy@yahoo.com,send the products name and quantity needed and your shipping address and contact phone number for shipping. Using your credit card in our online Chinese herbs store is just as safe as using it in your neighborhood restaurants and stores. We use the latest online security measures, including data encryption, server authentication, and message integrity. In addition, we are a registered, valid, legal, and trusted corporation. We are regulated by the Chinese government, our products are rigorously examined by an official Chinese quality control center, and we have been in business for over 7 years. 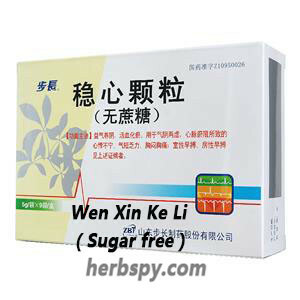 We are one of the most trusted names in Chinese herbs, whether online or off. 1. How will my package be shipped? 2. When will my orders be shipped? 3. How will my order be packed? 4. Will I be billed duties and taxes? 5. How do I know that my item has shipped? 6. What if I have not yet received my order but it shows that it has shipped? 7. When will my order arrive? Normally we'll ship your order within half an hour to two full day after receiving payment, Your herbs will be sended to our Shenzhen city,Shanghai city or Guangzhou City post company to leave from Guangzhou Port or Shanghai Port directly,that’s according to stock in warehouse,shipping policy ect. Moreover,we will contact you with the tracking number when it leave China. Specific situation please to contact our service pearson. We will place your order into one box at no extra charge. We'll use all precautions available to make sure your order has a safe, smooth ride. For most of the countries,you don't need to pay any duties and taxes.And for a few counties,depends on the spot check rate.Coutry Italy,Spain and Viet Nam customs are very strick,please change the shipping address to another county which neighbor you. Shipping times vary depending on your location. Postal EMS Express averages 10-15 working days for delivery. If you have not yet received your package after five working days or have other questions about your order, give us a call at WhatsApp 0086-177 3777 4153—or email us at herbspy@yahoo.com.